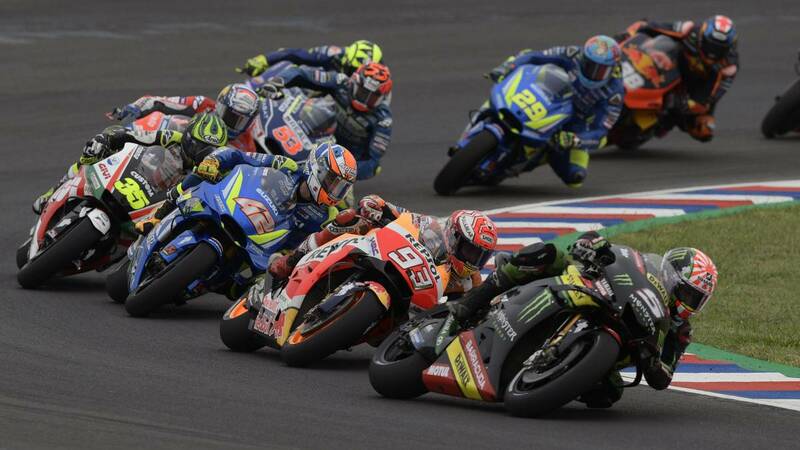 The arrival of the electronics to the World Cup has matched the aspirations of independent and official teams, in the top positions of MotoGP. MotoGP emerged in the middle of a binomial marked by Honda and Yamaha that dominated the category at will. The aspirations of the rest of the structures went through the mistakes of the Japanese motorcycles and s after the entry of the electronics to the World Cup, equality has begun to impla in a championship, which left an unpublished image at the end of 2016: have 9 riders climbed the highest step of the podium, from the hand of 6 different teams. This was the starting point of the maximum equality in which it is disputed MotoGP. The king has to fight his throne and war, he lives inside the same galaxy. All the teams orbit within the same space and in it, they all start from an equality where the difference, is decided based on thousandths marked by small details. Ties have been strengthened. More and more are the aspirations of satellite teams and as the World Cup evolves, its possibilities continue to increase despite the fact that official mounts always go one step ahead. After 14 years, having as an anteroom a time where reigned the 500cc, Cal Crutchlow was able to place the driver of an unofficial team at the top. The last to achieve it was Sete Gibernau with the Movistar Honda during three dates of the 2004 season and although in the case of the British did not last much joy, he did enough to show that, at present, they are also an option to take into account when the traffic light goes out. That the independent structures have joined the fight of the officers is something unquestionable. However, the question is to know until what time of the course are able to maintain the level. In the latest edition, three satellites were made a gap between the first eight positions of the table. Zarco, Crutchlow and Petrucci equaled their mounts with those of the fastest, and were even able to face expensive official bikes like Ducati de Lorenzo, Suzuki de Iannone or Honda de Pedrosa. In the case of the French, the Tech3 driver finished the World Championship in the sixth position, revalidating the title of best independent pilot he also achieved in 2017 and seeing him there with the most competitive, shows that this situation is no longer an isolated case as happened in other seasons. Although the equality has been achieved, from Dorna and IRTA are still working to get a much more disputed Championship. Carmelo Ezpeleta stressed the importance of "satellite pilots are also competitive" and the ambition has led to supply all teams with a standard Inercial Measurement Unit for this season, revolutionizing the course with a new technical change through which it is intended to adjust the picture even more. MotoGP has long since embarked in this direction and the results of recent seasons, are the reflection of it.